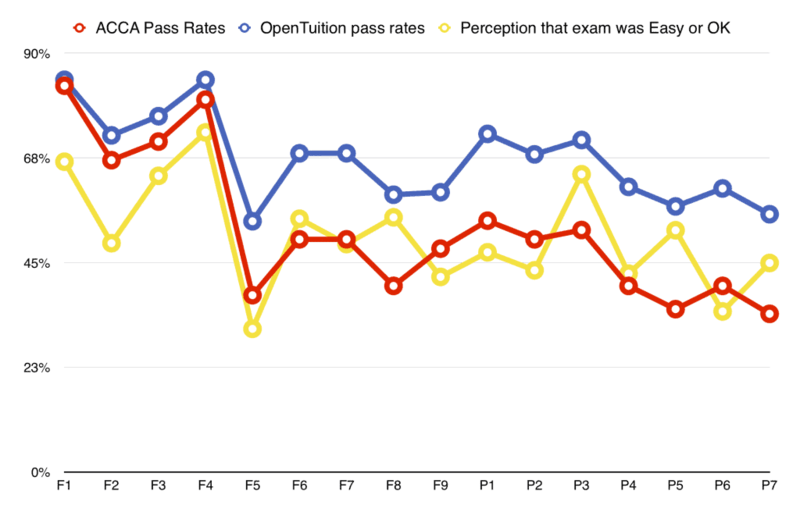 Please notes, OpenTuition pass rates are the result of the instant poll vote. F1 June 2018 exam result was..
F2 June 2018 exam result was..
F3 June 2018 exam result was..
F4 June 2018 exam result was..
F5 June 2018 exam result was..
F6/TX June 2018 exam result was..
F7 June 2018 exam result was..
F8 June 2018 exam result was..
F9 June 2018 exam result was..
P1 June 2018 exam result was..
P2 June 2018 exam result was..
P3 June 2018 exam result was..
P4 June 2018 exam result was..
P5 June 2018 exam result was..
P6 June 2018 exam result was..
P7 June 2018 exam result was..
Mostly the hardest paper is F8 & F5 and this pass rate also has shown that these two exams are hard to clear. Thanx for sharing with us so that we get the idea which paper get more preparation this year. All papers should have the same amount of preparation go into them! !